Lovely villa in a perfect location. Exactly as photos show, private and sunny. We had a super week over the new year holiday time. Well equipped and very clean. Spacious outside and probably the cleanest swimming pool I have ever seen. It is in a very quiet area, very peaceful during the day and night. The Vila is a 5/10 minute stroll to the supermarket and further down to the lovely beach and resort area. Highly recommend and we hope to return. 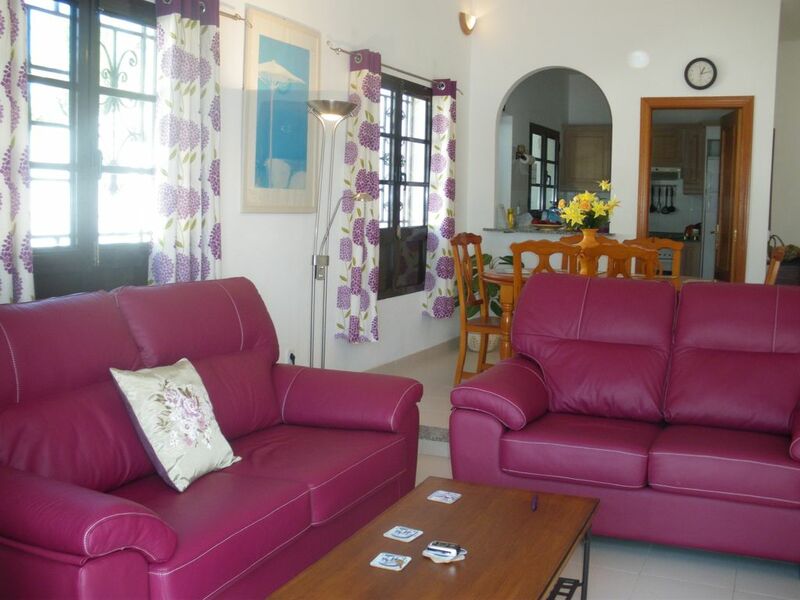 Lovely spacious villa with lots of outdoor space and in peaceful locatiion. Villa very clean, comfortable bed & everything required is there. Some of the items are a little tired & could do with updating. For example , sunbed mattresses , some cutlery etc. Villa could also do with a little updating . However, we had a lovely holiday the area is very peaceful yet close to all amenities . Angie & Keith both extremely helpful with airport transfers and Pool cleaner Bradley also very pleasant . We had a wonderful time Costa Teguise is a lovely holiday location.